According to the new agreement the companies have made, Caverion will have complete responsibility of the technical maintenance and managed services of Patria's buildings and properties in Finland. Caverion will also be responsible for daily maintenance, remote monitoring of properties, improving energy efficiency of buildings, and HelpDesk service for users. The value of the contract is not disclosed. The collaboration between Caverion and Patria started in 2012 when Patria outsourced the maintenance of its facilities to Caverion. The central goal of the collaboration was significant savings in the maintenance and energy consumption costs of properties. This goal was realised in the first agreement period with savings of EUR 2.1 million in line with Caverion's guarantee to Patria. “Caverion has fulfilled its promises in both reducing the maintenance costs of our buildings and improving their energy efficiency and in managing the entire maintenance and quality of properties. Ensuring that our production process can continue undisrupted and taking safety issues into account have been carried through professionally right from the start. We're very pleased to start the new agreement period with new goals in mind,” says Ville Jaakonsalo, CFO at Patria. The savings target has been reached first and foremost due to measures that improve energy efficiency, such as investing in equipment and making changes in equipment's schedule programmes, setting values and control methods. Thanks to more efficient operations and active management of services there has been no need to compromise on working conditions in production and business premises despite savings. “We're happy that we can continue our successful collaboration with Patria. At the start of our collaboration, we committed to challenging operational and financial goals, and we have kept our promise. 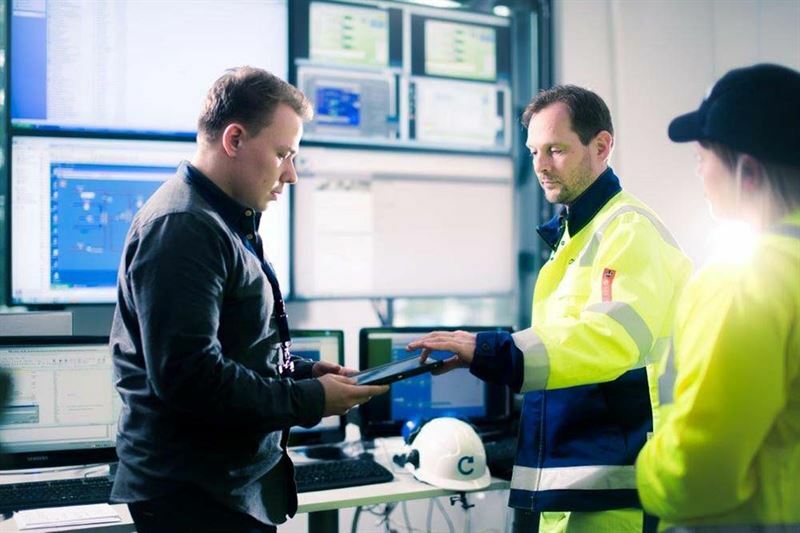 We are excited to continue the development work to ensure that Patria is well equipped to focus on their own operations in the future as well,” says Ville Tamminen, Head of Division Finland at Caverion. Patria’s properties covered in the agreement are located in Jämsä, Jyväskylä, Hämeenlinna, Nokia, Utti, Tampere, Pirkkala, Sastamala, Espoo and Helsinki. The total area of properties is approximately 140,000 m2. The agreement does not cover properties used by Millog Oy. Company belongs to Caverion's real estate users client segment. Read more about our services for real estate users.